The report by Vidooly also says that Star Plus tops FB video views in the'Traditional Entertainment Media Brand' category. 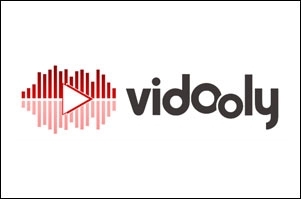 Vidooly, the startup firm that provides video marketing and analytics solutions recently conducted an industry study centred in Facebook video. The report spans six categories of content such as health and lifestyle, new age entertainment, traditional entertainment, new age news, traditional news, individual creators and over 5,000 Facebook video publishers in India. According to the report Times of India is India's most viewed video publisher on Facebook overall, and in the traditional news category with over 112 million views just in October. Star Plus sits at the top of 'Traditional Entertainment Media Brand' category with 26 million+ views, and is followed closely by Zoom TV (25 million+) & HistoryTV 18 (24 million+). Some of the other names in the overall leaderboard are Aaj Tak, Hebbar's Kitchen, ScoopWhoop, Buzzfeed India, Glamrs, The Logical Indian, PopXo, Scroll and others. Talking about the research Subrat Kar, CEO and co-founder of Vidooly says,"India is right now at the center of Facebook's growth strategy. With around 142 million monthly active users in the country, it is a platform that brands or video creators cannot ignore! Despite YouTube still being the go-to platform for most video creators in the country, Facebook is fast catching up and attracting new creators to its platform." The study suggests that for aspiring video creators in the country, Facebook could be a great platform that can give immediate feedback from the audience. They can then incorporate it in their overall content strategy and try to leverage other platforms like YouTube, Twitter and Instagram. 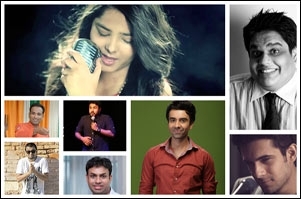 Will online stardom dazzle the digital marketer?